Ward Cunningham, the man behind the very first wiki, described it as "the simplest online database that could possibly work." While this sounds good rolling off the tongue, it is not very descriptive, and to be honest, not entirely accurate. A better description would be, a wiki is the simplest collaborative content management system that could possibly work. Sounds complicated, huh? That might be why Ward Cunningham chose not to describe it that way, but it really is a more accurate description because it pinpoints that special something that has caused wikis to burn through the web like a wildfire. To understand a wiki, you must understand the idea of a content management system. As complicated as the name might sound, content management systems, sometimes referred to by their initials (CMS), are really quite a simple concept. Imagine you are the editor of a newspaper and it is your duty to get the newspaper out the door every day. Now, each day, the articles in the newspaper are going to change. One day, a mayor might be elected, the next day, a high school football team wins the state championship, and the next day, a fire destroys two buildings downtown. So, every day you have to put new content into the newspaper. However, much of the newspaper also stays the same. The name of the newspaper, for example. And, while the date might change, it is going to be the same date on every page for that issue of the newspaper. Even the formats remain the same, with some pages having two columns and other pages having three columns. Now, imagine that you had to type in the name of the newspaper on every page each day. And you had to type in the date under it, as well as manually configure those columns. As an editor, you might find yourself with so much work that you don't have time to actually put the good stuff -- the articles -- into the newspaper because you are too busy typing in the name of the newspaper over and over again. So, instead, you buy a software program that will let you create a template for the newspaper. This template puts the name at the top of the page and lets you type in the date a single time and then copies it to each page. It will keep track of page numbers for you, and will even help you format the pages into two columns or three columns with a click of a button. That is a content management system. The web works the same way. If you notice, most websites are similar to your newspaper. The name of the website and the menu for navigating through it tend to stay the same while the actual content changes from page to page. Most websites are designed through a content management system that allows the creator to quickly and easily provide content to the user much in the same way that the editor can quickly pull new articles into the newspaper without having to design every single aspect of it by hand each time. The simplest of content management systems on the web is the blog. It is about as straight-forward as you can get, which is one of the main reasons why blogs are so popular. You simply type in what you want to say, give it a title, and click publish. The content management system will then stamp a date on it and put it on the main page. What differentiates a wiki from a blog is the fact that multiple people can -- and usually do in the case of popular wikis -- work on a single piece of content. This means that a single article could have as few as a single author or as many as tens or even hundreds of authors. This is very different from a blog where an article will usually have only one author. Some blogs are collaborative efforts of multiple bloggers, but even then, a single article is generally attributed to a single blogger. Sometimes, an editor might go over the article to make some correction, but it usually doesn't go much further than that. It is the collaborative effort that makes wikis so great. Think about the game of Trivial Pursuit or any other type of trivia game. Most of us can feel pretty good about one or two categories. We all have interests, and we've gathered some knowledge from those interests. We even feel comfortable outside of those interests, so while we might not be a history nut, we can remember some of what they taught us in school. Most of us feel uncomfortable with a few subjects. You might like sports, but you might hate basketball, so you probably wouldn't know who scored the most points in the NBA in 2003. So, when we play a game of Trivial Pursuit, there are categories we like to get questions from, and other categories we try to avoid. But, when we play on a team, that begins to change. If you don't know much about automobiles, but your partner knows everything there is to know about cars, we feel comfortable trying to answer automotive questions. We've pooled our knowledge together and, because of that, we are better equipped to answer questions. That is what makes a wiki tick. It pools together the knowledge of a group of people to create the best possible resource. So, in effect, an article becomes the sum of knowledge of the people who worked on the article. And, just like in Trivial Pursuit when we can do better when we are on a team, an article becomes better when it is created by a team. That is the beauty of wikis. Through a collaborative effort, we are able to create a resource that is superior to anything that we could have accomplished alone. 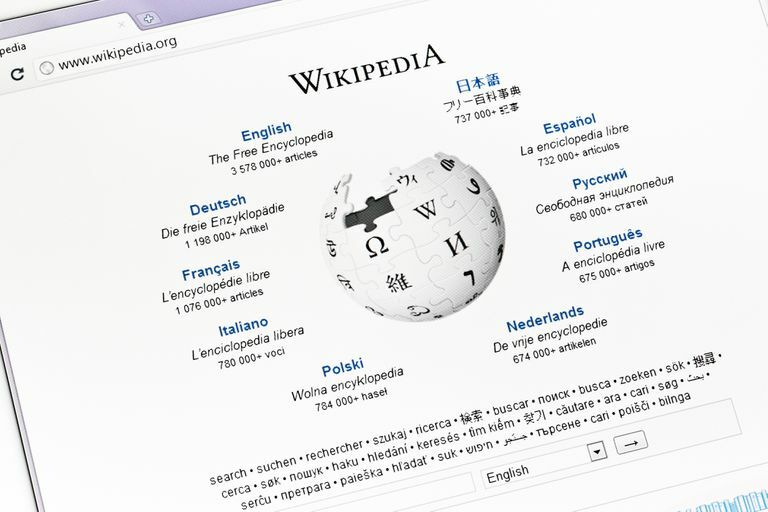 So, Just What is a Wiki? It's a book. Usually, it's a reference book, like your dictionary or encyclopedia. Since it is in web form, you use a search box rather than a table of contents. From any single article, you might be able to jump to several new subjects. For example, the Wikipedia entry on "wiki" has a link to Ward Cunningham's entry. So, instead of flipping back and forth in a book to get the whole story, you can just follow the links.